Jun Fan Gung Fu/Jeet Kune Do was developed in the 1960’s and was further evolved in the early 1970’s by its founder, the legendary Bruce Lee. Although, it was derived from more than one source of martial arts, its roots clearly come from Wing Chun Gung Fu, Boxing and even Fencing. Upon arriving stateside from Hong Kong, Bruce Lee settled in Seattle, WA. where he originally began teaching his first students. He then decided to move to Oakland, CA. where his teaching and personal approach continued to develop. Next, he moved further south into Los Angeles, CA. and opened up a school (kwoon) in the Chinatown district. There, he expanded greatly and accepted some celebrity students, such as famous Hollywood actors Steve McQueen, James Coburn, James Garner, as well as basketball giant Kareem Abdul Jabbar. IJKDC Combatives Training focuses much on Bruce Lee’s original Jun Fan Gung Fu-Jeet Kune Do concepts and additionally effective cross-training strictly in reality based fighting methods. Our scientific approach offers any individual a chance to develop themselves to greater potentials through a series of streamlined principals designed for those mainly interested in a no-nonsense attitude towards serious self defense training. Striking has been around in one form or another for centuries. The basic tenets of stand-up fighting are light footwork and strong attacks with both arms and legs. Two of the best examples of stand-up fighting are: Muay-Thai and Boxing. JKD Trapping range is the crossroads between kickboxing, boxing and grappling. Examples of other martial arts which utilize some form of close range trapping are: Wing-Chun, Pencak-Silat and Filipino Martial Arts. JKD Integrated Submission Grappling encompasses a variety of systems, including some of the most popular styles such as: Judo, Wrestling, Jiu-Jitsu, Sambo, Shootfighting and Catch-as-Can. Our founder Paul S. Lewis started his martial arts career all the way back in the late 1970’s, and went on to win back-to-back “No-Holds Barred” competitions after moving to Chicago, Illinois. Upon returning to the west in 1983, Sifu Lewis became an avid kick-boxer and eventually won the 1993 California State Open T.K.D. Championships. As Paul continued cross-training he began to question whether the systems he was training in at the time were truly conducive to dealing with real-life threatening encounters on the street. So, he began researching more combative options by seeking out specific instructors in earnest. Since then, Paul S. Lewis has trained with luminaries such as Larry Hartsell, Gokor Chivichyan, “Judo” Gene LeBell, Richard Bustillo, Patrick Strong, Paul Vunak, Jon Gul Park and Woon Choi, among many other respected world-renowned martial arts pioneers. 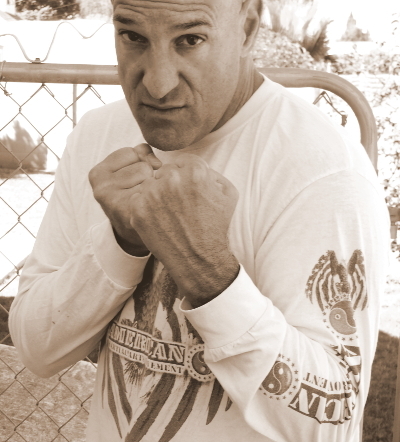 Paul has studied a variety of Martial Arts including but not limited to: Jun Fan Gung Fu/JKD, Muay-Thai, Filipino Kali-Eskrima-Arnis, Boxing, Catch-as-Can Wrestling, Sambo, Judo and Integrated Grappling.